We got in late Monday night and had all day Tuesday to sightsee together before Ryan started working. We started with an overview of the city from one of the government buildings. Tokyo is not small. And it is dense. But so well organized that it never feels out of control. We went shopping at my favorite store, Toku Hands. It is 10 stories of Home Depot + Hobby Lobby + Wal-Mart + a dozen other boutique shops. They've got everything, and while most of it is fairly familiar it all has a Japanese feel. Like the Hello Kitty Zip-Lock bags we brought home for Ella. Let me tell you, they were a hit. We ate lunch at a great Tonkatsu place. 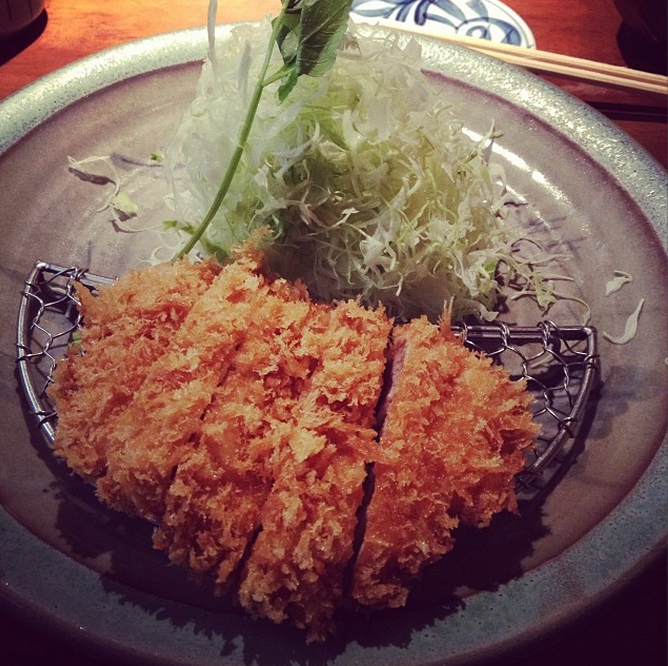 Ryan loves tonkatsu, which is a panko crusted deep fried pork. I didn't really think I would be a fan, but I was. It is moist and light and delicious. And it's served with a cabbage salad that is really just super finely shreeded cabbage and dressing, but it's so good. With food on the brain, we decided to try and find the hole in the wall sushi restaurant that has 3 Michelin stars. If you haven't seen Jiro Dreams of Sushi, you should. A good flick. 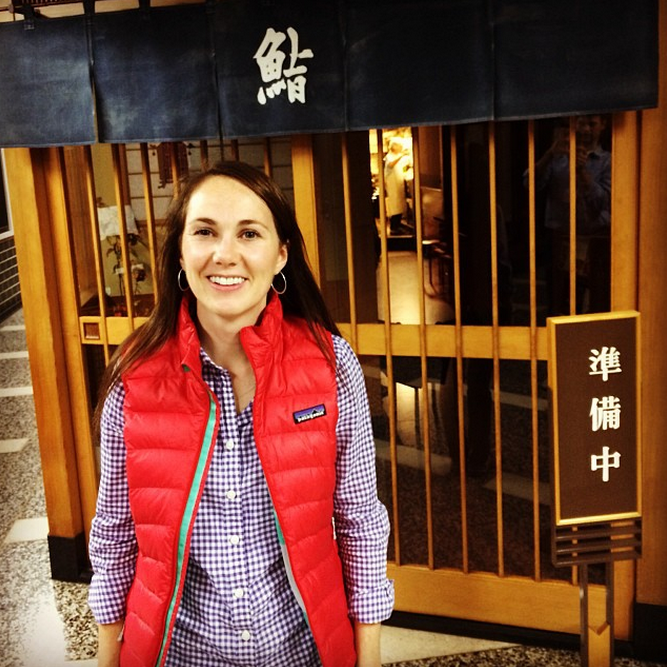 Our search had a few wrong turns and included a maze through the Tokyo underground, but eventually we found it. Well, Ryan found it. I had very little to do with the navigation.